^ Douglas C. Engelbart. Hall of Fellows. 计算机历史博物馆. [2012-06-17]. （原始内容存档于2012-07-02）. 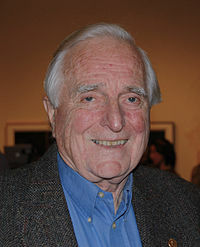 ^ Douglas C. Engelbart. Toward augmenting the human intellect and boosting our collective IQ. Communications of the ACM. 1995-08-01, 38 (8): 30–32 [2018-04-02]. ISSN 0001-0782. doi:10.1145/208344.208352. ^ Footnote. The Doug Engelbart Institute. [2012-06-17]. （原始内容存档于2012-07-14）. ^ Thierry Bardini & Michael Friedewald, Chronicle of the Death of a Laboratory: Douglas Engelbart and the Failure of the Knowledge Workshop, History of Technology 23, 2002, p193.